Ricoh is a Japanese company that first of all is known for their copy machines, where they are a world leader. But they have been, and are still making cameras. 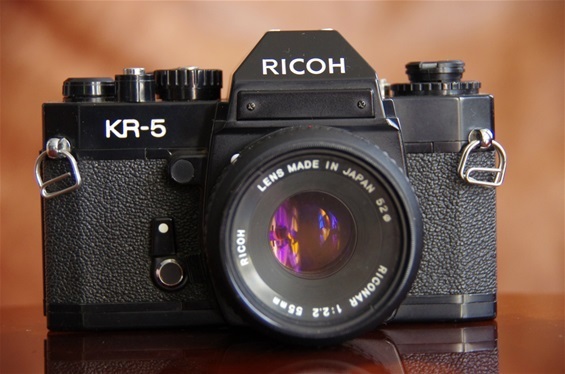 Ricoh was never a leader in the field of PP SLRs, but from 1962 (Ricoh Singlex) till late 1990s they sold Singlex, TLS, XR, KR and other series. The production of most of their PP SLR cameras was done by other factories. Mamiya made the Singlex (with Nikon mount! ), Cosina made Singlex TLS, some XR and KR models. Their last PP SLR was introduced in 1997, the XR-X 3000. 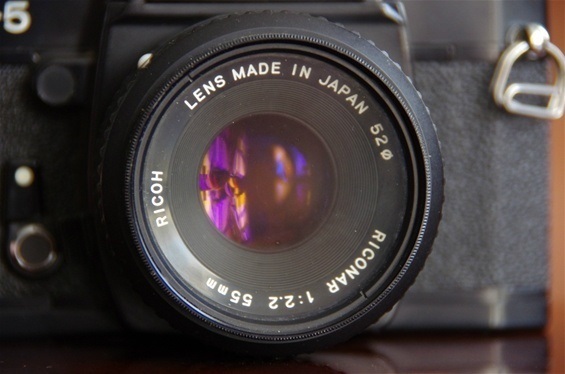 Although Ricoh never became the leader of the PP SLR producers, they kept it going for 35 years. 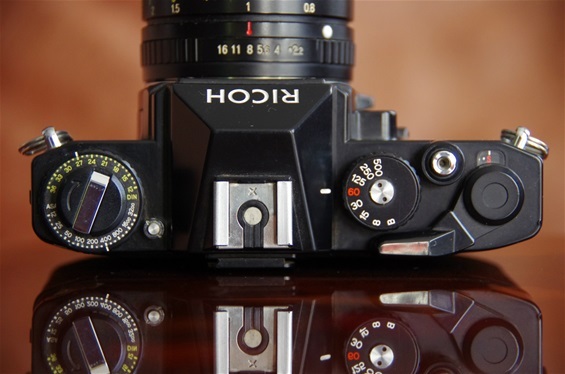 Note: Ricoh is back in PP SLR business from October 1st, 2011 as they bought the Pentax Camera Division from Hoya. Can they manage to take Pentax back to its leading position from the 50s, 60s and 70s? Here is a KR-5 from 1975 with s/n 50 369736. Who produced it? Well, it's on the Cosina List..
Riconar 55/2,2. A modest lens. Very classic design, no surprises, working well.